просто красота!! цветочки, вкусные напитки и high heels!! ^^ всё что надо для прекрасного дня :)) нам тут в вене тоже с погодой везёт, весна наконец-то!! Gorgeous strappies! The shoe of the season...can't wait to see how you style em up! happy monday to u too :D and the bubble tea looks yoummi!!! your life is so picture-esque. love all of the snapshots as always! Love the flowers and nail polishes!! I love these photos. So lovely. Very cute pictures! I will look you up on Instagram. 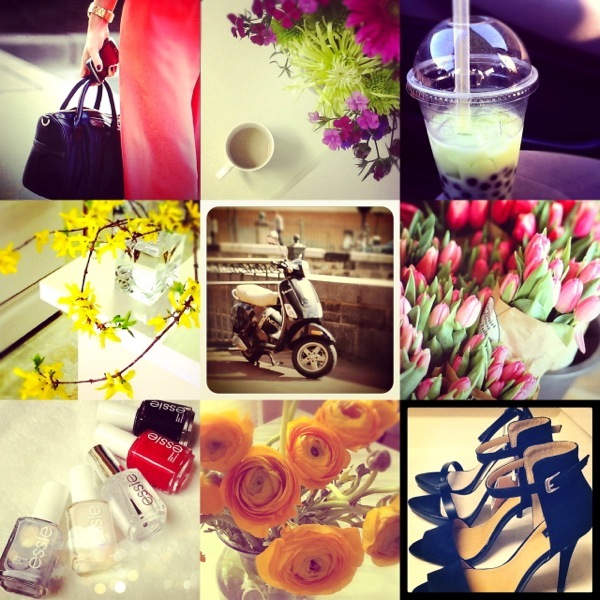 Such an inspiring instagram... lightens up a dull day! and those black Zara heels!